This is my everyday vinaigrette recipe. I modify the vinegar to complement the flavor and texture of different lettuces but the basic recipe always stays the same. Throw out your bottled dressings (filled with sugar, chemicals and unhealthy oils) and make some of this once a week! 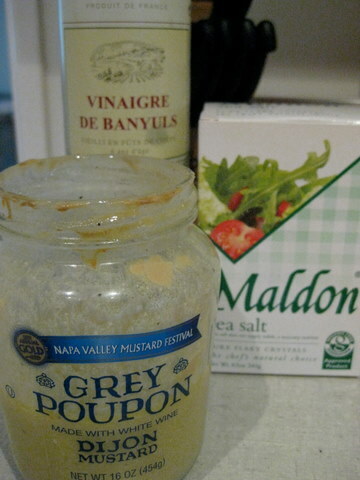 The triumvirate of vinaigrette ingredients…according to me. Vinaigre de Banyuls, Maldon sea salt and Grey Poupon Dijon mustard. I just shake it all up in a saved mustard jar and store it in my fridge all week. 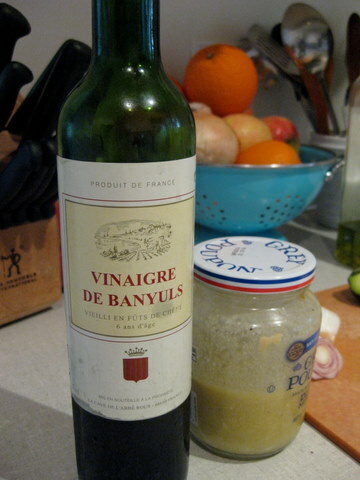 In my opinion Banyuls vinegar is the perfect “salad dressing” vinegar. It’s tart like red wine vinegar but with WAY more depth of flavor. It is available at Whole Foods and other specialty markets. Combine the first 5 ingredients in a bowl and whisk until well combined. Allow to sit aside for 5-10 minutes so the salt can dissolve in the vinegar. 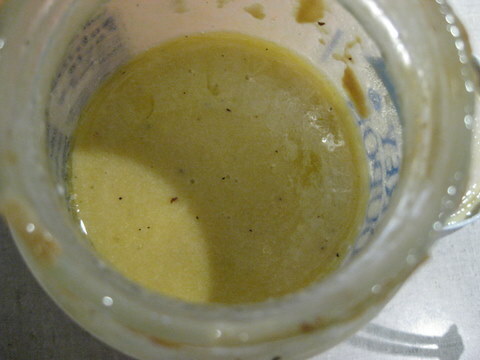 Then slowly whisk in the olive oil until well emulsified OR just shake it all up in a jar with the lid closed tightly. add a tablespoon of mayonnaise, vegenaise or heavy cream if you want the vinaigrette a tad creamy, say for baby gem lettuces. add 1 tablespoon finely chopped fresh herbs like tarragon, parsley, oregano or chives. Thank you for sharing Lydia, I have been looking for a good homemade Vinaigrette. Looking forward to trying it. my pleasure Geri, thanks for reading and commenting!